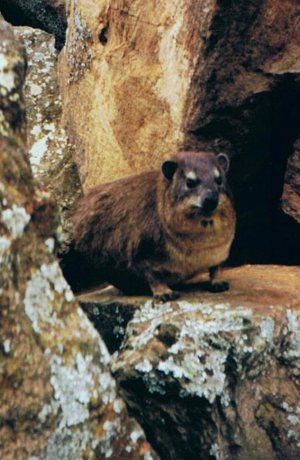 Observation - Rock hyrax - Global. Description: One fo a group at Fischer's Tower in Hell's Gate NP. One fo a group at Fischer's Tower in Hell's Gate NP.